Should you buy Mitsubishi Pajero Sport or Toyota Fortuner? Find out which car is best for you - compare the two models on the basis of their Price, Size, Space, Boot Space, Service cost, Mileage, Features, Colours and other specs. 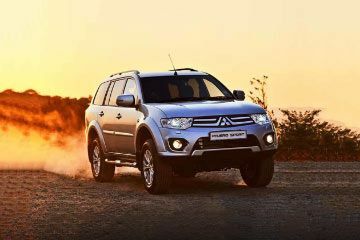 Mitsubishi Pajero Sport and Toyota Fortuner ex-showroom price starts at Rs 28.2 Lakh for Sport 4X2 AT (Diesel) and Rs 27.58 Lakh for 2.7 2WD MT (Petrol). 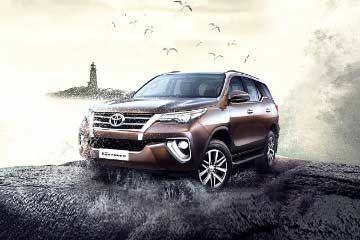 Pajero Sport has 2477 cc (Diesel top model) engine, while Fortuner has 2755 cc (Diesel top model) engine. As far as mileage is concerned, the Pajero Sport has a mileage of 13.5 kmpl (Diesel top model)> and the Fortuner has a mileage of 15.04 kmpl (Diesel top model). Sporty Steering Wheel with Audio, MID and Bluetooth Control Switches "
"Rise Body with Front and Rear Side Door Impact Bars, Hydraulic Brake Booster, 3-point ELR Seat Belt for all, Anti-intrusion Brake Pedal, Crash Detection Door Lock System Shutdown "